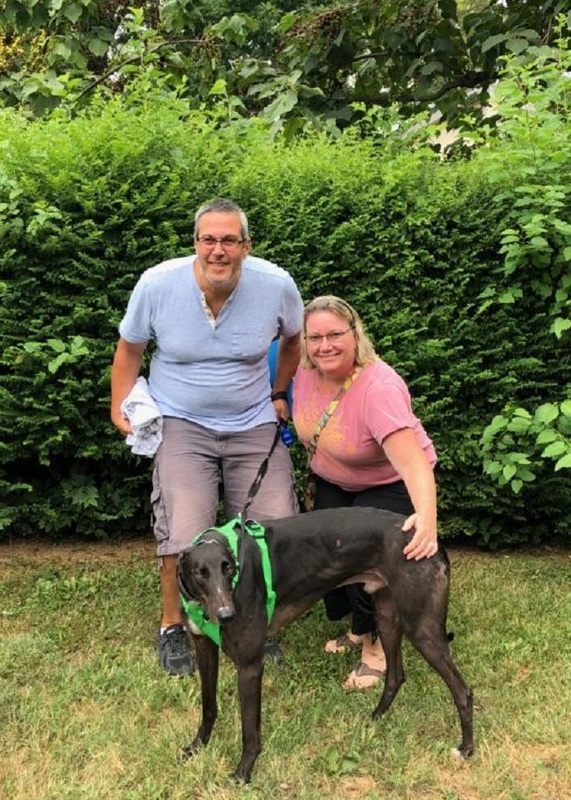 BRGA is very excited to see Blockhead, now called Roscoe go to his new wonderful home with Lisa and Dean in Rockville! Roscoe came to us as as a foster. He adjusted very quickly to a new home life thanks to our caring volunteer family! Roscoe will now be a pampered pup at home while Lisa and Mark work from home. He will also enjoy having a new sister, Maggie, the family's other Greyhound! Congratulations to Lisa, Mark and Roscoe!